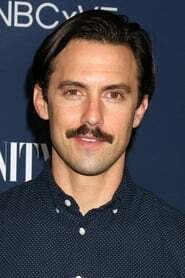 Milo Anthony Ventimiglia (born July 8, 1977) is an American television actor best known for his role of Peter Petrelli on the TV series Heroes. Ventimiglia was first noticed by fans during his three year stint on the WB series Gilmore Girls, playing Rory Gilmore's boyfriend Jess Mariano from 2001 until his final guest appearance in 2006. After his own WB series The Bedford Diaries, a recurring role as Meg Pryor's love interest on NBC's American Dreams, and playing Rocky Balboa's son in the sixth and final installment of the Rocky series, Rocky Balboa, Ventimiglia's big break came in 2006 when he received the part of nurse-turned-superhero Peter Petrelli for four seasons on NBC's Heroes.